independent agency (the United States Postal Service) in 1971. 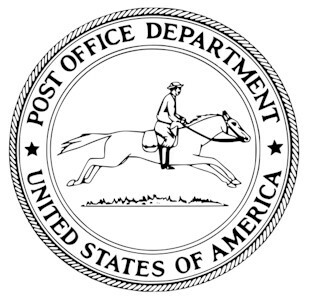 U.S. Post Office Department began in 1792 (this seal was created shortly after that time). Pony Express began in 1860, which was a private business. For anyone who doesn't know, the symbol represents "The Pony Express" - which was the forerunner.